Considering the problems and trauma being in an accident can put you through like losing a limb, suffering severe injuries, head trauma, losing your job and even emotional and psychological troubles, your best reaction is to fight for your right. You should fight for a right to be compensated for having to go through such pain and suffering, a right to closure. To fight for your right, you need legal backing; you need an experienced auto accident attorney in your corner. We at Rawa Law Group stand against injuries and suffering and are always happy to help you get the most out of your legal war. 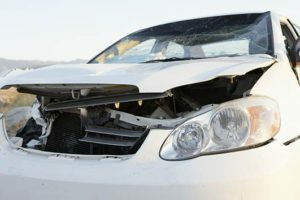 We are an aggressive team of car accident lawyers who offer auto accident victims personalized legal representation to ensure their right to a decent compensation for their injuries and pain suffered is granted. We have been helping accident victims with such cases for over a decade and have won hundreds of millions in compensations for our different claimants. With a combined experience of over 50 years, we have top-notch auto accident attorneys in Garden Grove who understand these cases very well and have the legal knowledge to shine in and out of the court of law, enabling the insurance company to pay up and fast. Our skilled lawyers have the tact to help you maximize your accident claim settlement, ensuring we deliver the highest amount of settlement acceptable by law. Rawa Law Group is always ready to serve you, if you or someone close to you is in need of a reliable auto accident attorney in Garden Grove, please take advantage of our free consultation and let us better understand your need. Contact us today.